The relationships we cultivate throughout our lives can leave a lasting imprint. The personal and professional relationships we form with friends, family, co-workers, and acquaintances help us grow and evolve. Maintaining these relationships as we age can often lead to an increase in happiness and life expectancy. At DePaul, we offer a personalized approach to delivering support and services while encouraging family members to be actively involved in the care of their loved ones. We have seen many special bonds formed between our staff and the residents they care for, creating memories that will last a lifetime. This Maya Angelou quote inspired this year’s National Assisted Living Week theme, “Family is Forever.” DePaul’s Senior Living Communities recently celebrated National Assisted Living Week (NALW). Established by the National Center for Assisted Living, NALW took place September 10 – 16. This weeklong event allowed residents, their families and staff to recognize and celebrate the strong bonds and lasting imprints they share. Many of our communities celebrated NALW with various activities relating to the “Family is Forever” theme. Woodridge in Monroe, NC, Westwood Commons in North Chili, NY and Southfork in Winston-Salem, NC created their own unique versions of family trees using hand cutouts or thumbprints of residents and staff to be put on display in their communities. There were plenty of crafts, delicious foods, fun games and family-oriented events throughout the week to celebrate. Community members even donated items for raffles and food items for events. Pee Dee Gardens in Florence, SC celebrated with help from area hospices by having different destination-themed days to places such as Hawaii and Spain. Heath House in Lincolnton, NC held a free workshop led by Activity Director Millie Guy about how to connect and care for a loved one and/or resident living with Alzheimer’s disease or dementia. 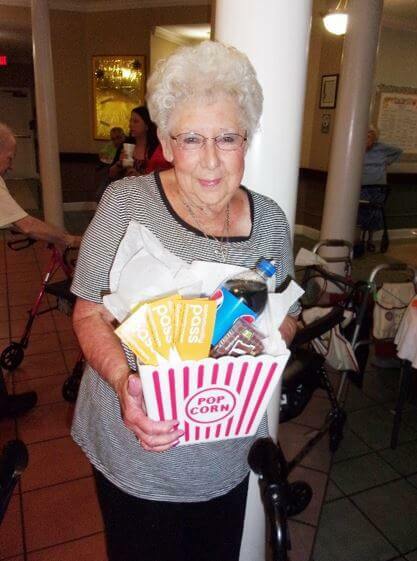 Prestwick Village in Laurinburg, NC introduced their Love Drops Program during National Assisted Living Week. The program is an opportunity for residents to give back to many generous people in the community who have made a difference at Prestwick Village. 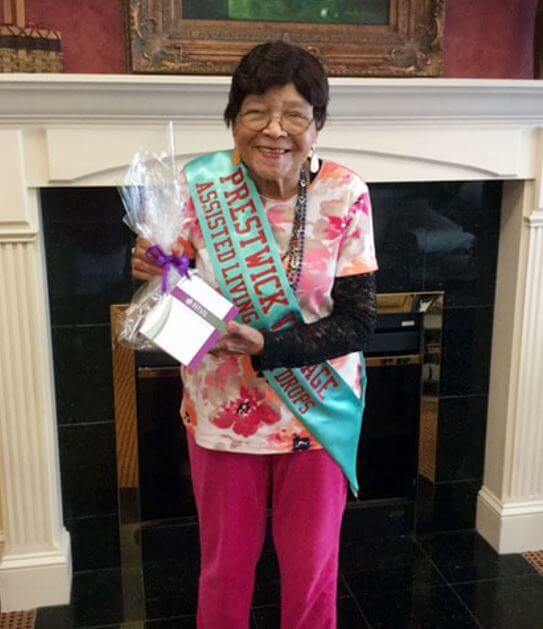 Residents bake and deliver treats while wearing their Prestwick Village Assisted Living Love Drops sashes. Any community member who has given their time or kindness to Prestwick Village is deserving of a Love Drop delivery. NALW was a celebration of residents, staff, families and community members that allowed all who participated to reflect on the importance of the relationships they have formed. DePaul is able to provide the highest quality care by creating a supportive environment for both caregivers and residents, building the necessary foundation where relationships become the heart of care.